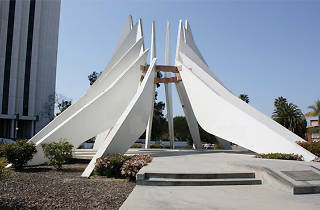 Photo courtesy Machine Project King Memorial at Compton Civic Center Plaza. The clean, late modernist lines of Compton's Civic Center might come as a surprise for those that only know the city by its contemporary pop culture depictions. But this collection of government buildings was meant to signal a new beginning for the community during its '70s ascendancy of African American culture. 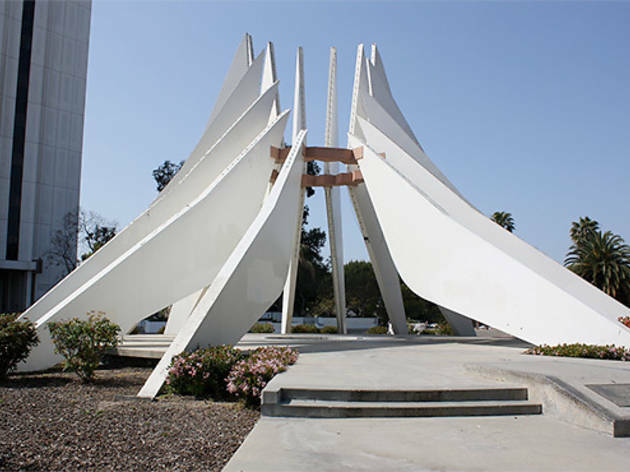 At the center, concetric white panels create the canopy of the King Memorial, a monument to Dr. Martin Luther King Jr. designed by artist Gerald Gladstone in collaboration with the Civic Center’s architect, Harold L. Williams.